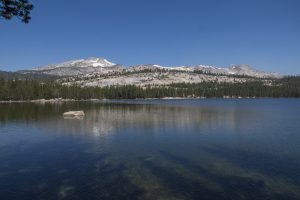 In contrast to Tenaya Lake’s busy west shore with the traffic of the Tioga Road, exploring the eastern shore by foot gives a much more solitary and rewarding experience. From the trailhead, keep left to the outlet of the lake. You may need to get your feet wet to cross over Tenaya Creek. After the crossing, you’ll continue to stay left as the trail follows the shoreline through a wonderful forest. The fantastic granite domes and summits surrounding the lake make this large lake one of the more unique and beautiful bodies of water in the park. 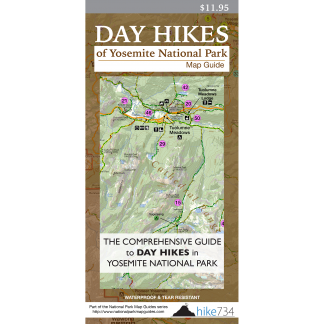 The trail wraps around the eastern shoreline with changing views of the lake as you skirt below Tenaya Peak.